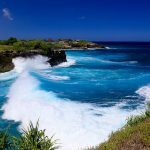 Bali truly becomes a heaven for the traveler. 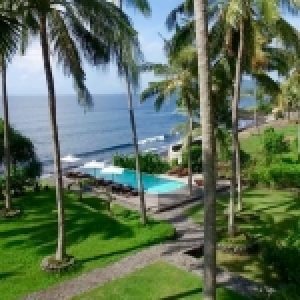 It is because Bali provides unique sensation to the tourists that you can’t find the view in another place, but in Bali. Now, I will bring you to the historical palace that used as residences during Dutch colonialism called Ujung Water Palace. 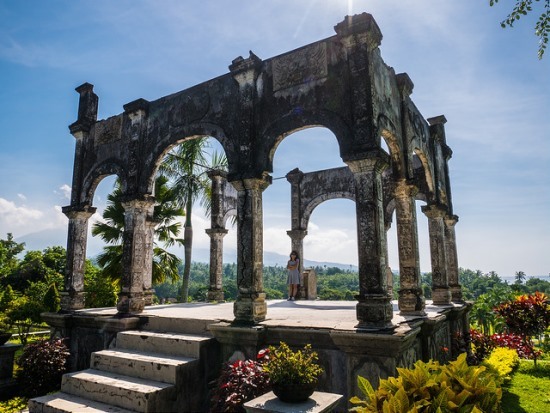 This place is also called Ujung Park or Sukasada Park, which was designed by Dutch architect van Den Hentz for the King of Karangasem. After twenty years of construction, in 1921 this palace become the residences of the warlords. It was called as water palace refers the water-surrounded palace. 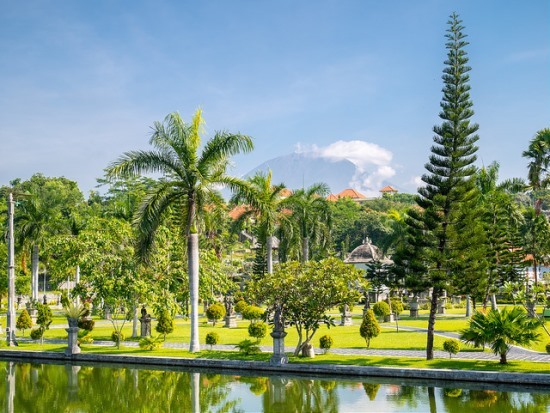 During the volcanic eruption of Mount Agung and great earthquake in 1979, some parts of this palace were broken. But, government deal to restore it as it was. 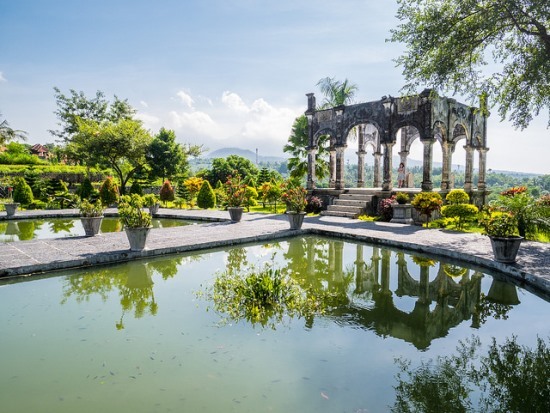 Until now, Ujung Water Palace was the most famous destinations in Karangasem Regency Bali (eastern part of Bali). 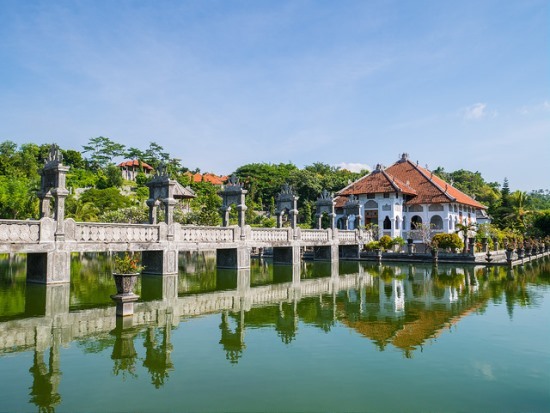 This complex of the palace has a combination of Balinese and European (Dutch) architecture with three large ponds connected by long elegant bridges and pathways. The good things about this palace was, we have Mount Agung as the background. 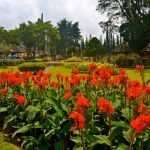 What can we do in Ujung Water Palace? 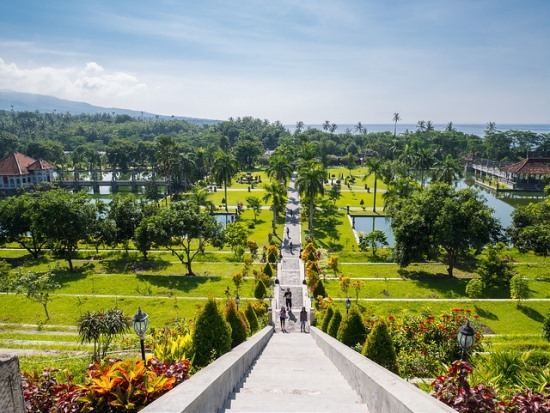 The whole park and palace building covers an more than 10.000 square meters, and located 30 minutes by car from Amlapura, the Karangasem’s capital. Now, the area become smaller from the origin, that was around 4 square kilometers. Tripadvisor also recommends this palace as the winner of 2014 best places to visit. First, we will pass concrete bridge that connects parking area with the water palace. Just after that, we will cross the bridge above the first and biggest pool. I stop for a while to take selfie picture above this bridge. Pre-wedding photo usually takes place here. So, don’t get shocked if a lot of local photographer walking and staying hours in the bridge. After entering the palace building, we will see the Information Center just the right side of the main gate. A lot of staffs are very happy to explain all of the palace and the details. For myself, this spots maybe one of the rare place with informative staffs. Walking around this water palace was very nice and comfortable. Maybe because there are a lot of trees, flowers, and also abundant water. 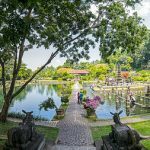 Enjoying clean and green atmosphere combines with traditional culture become the main attraction for the tourist. Visiting Ujung Water Palace will not complete without visiting Bale Gili Ikan Bangi. 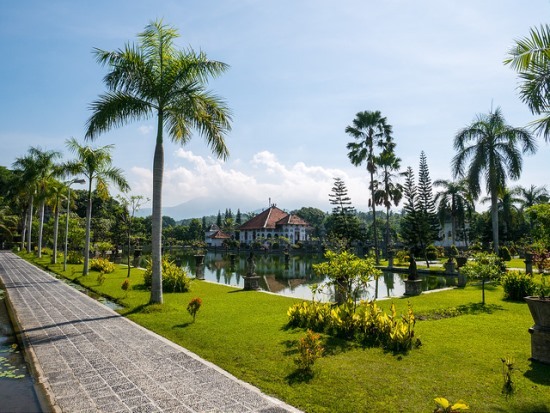 This main building was the residences of Karangasem royal family for years, it was surrounded by the pool and have very good interior design with a lot of pictures about wayang (traditional puppet show in Indonesia) and historical home appliances. Still same as it was. We can see the master bedroom, the dining room that have great view to the park and ponds. Furthermore, we can enjoy and look at Water Palace from the heights. You can climb to the top of the hill by walking trough dozens of stairs. From this hill, we can see the complete view of all Water Palace area. This area usually crowded of people taking pictures, wedding photo shoot, and also for traditional dance performances. But don’t worry with a little patience you will get the Water Palace view like pictures below. People are required to pay before entering this area. To enter Ujung Water Palace area, we need to pay 10.000 rupiahs for adult and also the children. 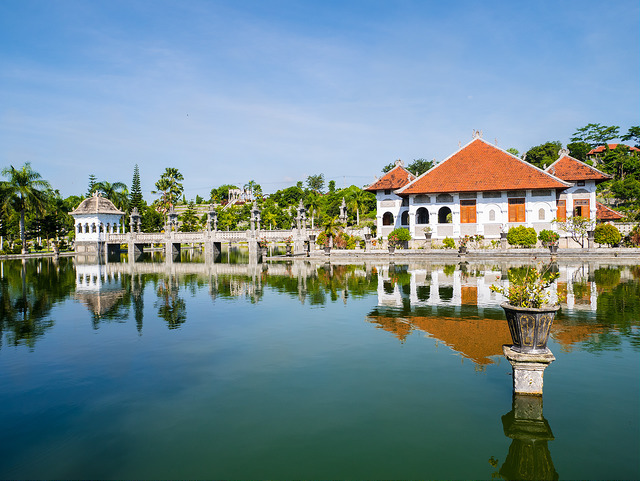 Ujung Water Palace located 20 kilometers east of Denpasar and 25 kilometers from Kuta. It can be reached by taxi or car around 1 hour. The fare is around 300.000 rupiahs from Kuta or 250.000 from Denpasar.